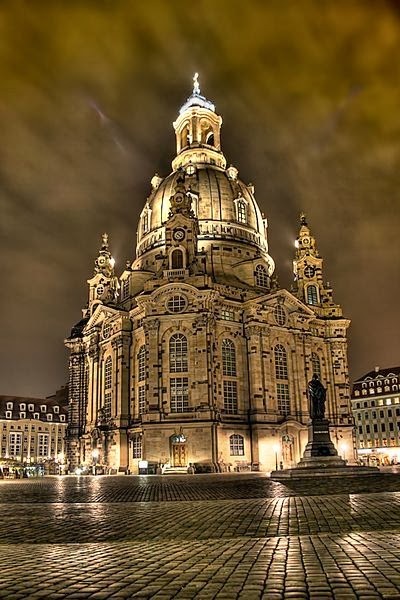 The Dresden Frauenkirche is a Lutheran church in Dresden, the capital of the German state of Saxony. Although the original church was Roman Catholic until it became Protestant during the Reformation, the current Baroque building was purposely built Protestant. It is considered an outstanding example of Protestant sacred architecture, featuring one of the largest domes in Europe.